The only realistic 3D animated robotic life-like quick draw game available ! 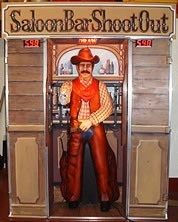 Our Saloon Bar Shootout features an illuminated bar themed cabinet, swinging saloon doors, as well as a 3D fiberglass cowboy complete with robotic arm movement. 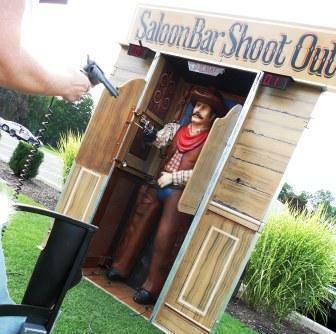 The 2 players have to stand in front of the saloon bar in the free-standing chaps, and stand ready & prepared to draw their guns as soon as the saloon doors open. 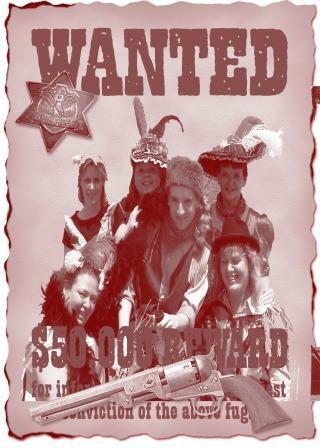 At the top of the saloon bar there is a DRAW sign. 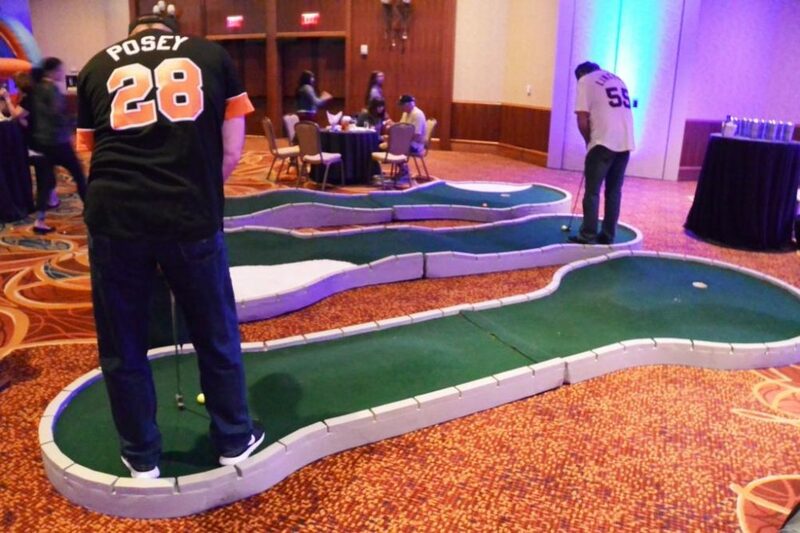 When the saloon doors open, each player has to reach for their Colt 45 gun and shoot the cowboy, and as long as the players fire towards the saloon bar, then each players time will be recorded.